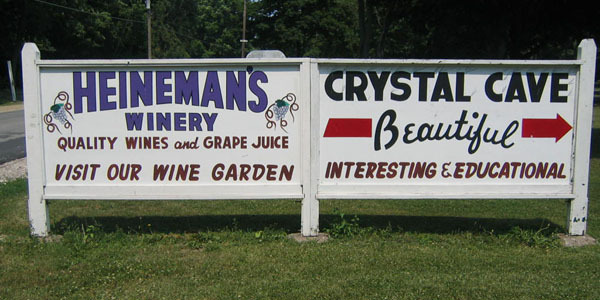 This shop is located within Heineman’s Winery. Heineman’s was founded in 1888 by Gustav Heineman. He immigrated to the United States from Germany and settled on Put-in-Bay. Today, the family continues the grape growing and wine making traditions. They make the wine they sell! Stop in for a taste of the islands. For more family fun, Perry’s Cave and Family Fun Center is located across the street. Both are stops on the Put-in-Bay Tour Train trek around PIB.